IAOM-US Comment: If you are addressing muscle weakness solely by strengthening exercises you may be missing something in client care. While this article reports on significant improvements in strength following Astym treatment, it also provides evidence for soft tissue mobilization as an important component in plan of care for injured muscles. This double-blinded, repeated measures design was used to investigate the effect of Astym therapy on muscle performance of the lower extremity. Forty-five participants met the inclusion criteria of: male or female between the ages of 18 and 65 years old, referral from a medical doctor for physical therapy for a musculoskeletal injury to the lower extremity, and unilateral symptoms to one of the lower extremities. 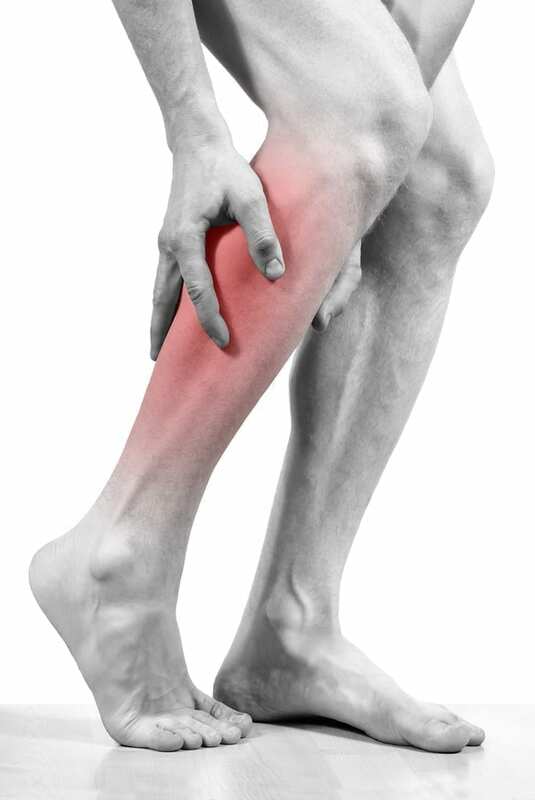 Participants were excluded from the study if they scored higher than 70 out of 80 on the Lower Extremity Functional Scale, had less than 10% deficit of maximal force output in one lower extremity compared to non-involved side, had complaints of low back pain, had an active infection, currently had conditions involving both lower extremities, or had Astym therapy previously for their current condition. A computerized leg press was used to calculate each participant’s maximum force output during unilateral isometric squat. Each participant’s foot placement on the force plate and knee angle were standardized to ensure alignment. An average maximum output of three trials was taken for each participant. The 45 participants were then randomly assigned to three groups that included the Astym, control, and placebo groups. The Astym group received Astym therapy to the lateral and anterior compartments provided by a certified therapist. The control group sat on a treatment table for 12 minutes, the average time of each Astym treatment. The placebo group received sham Astym therapy. Immediately following treatment, the participants were again tested in the exact same manner as before treatment. A second investigator who was blinded to the type of treatment received by the patient administered all of the unilateral squat max tests. The mean of percentage change was compared using a one-way analysis of variance with a predetermined alpha level of 0.05. Tukey’s post-hoc analysis was then used to determine which groups differed from each other. There was no statistical difference found between treatment groups. However, there were significant differences found between the Astym group and placebo and control group. It was found that on average, there was a 15% increase in maximum force output in the Astym group, whereas the control and placebo groups showed a decrease of -1% and -6% decrease respectively. No significant differences were found between control and placebo groups. Investigators concluded that Astym therapy to the involved lower extremity increased maximum force output during an isometric squat test immediately following treatment. Results of the study indicate that patient’s showing signs of muscular weakness following injury to the lower extremity may benefit from Astym therapy to increase muscular strength. More research is required to examine the physiologic effects of Astym and the longevity of its effects. Astym is a form of soft tissue mobilization that has become fairly widespread in use in recent years. Astym has been shown to decrease scar tissue formation while also promoting the regeneration of cells which can lead to a list of potential improvements like: increased range of motion, decreased pain, and functional improvements with tendinopathies and chronic soft tissue injuries (Hay, Mountz, & Thelen, 2016). Astym is thought to initiate the activation of the physiologic response, leading to regeneration of soft tissue (Slaven & Mathers, 2011). Hypothetically speaking, the treatment will activate fibroblasts and local growth factors for this regeneration of soft tissue (Gehlsen, Ganion, & Helfst, 1999). Many works have looked at the relationship of the use of Astym therapy in conjunction with other common physical therapy practices. It was concluded that Astym with traditional physical therapy could potentially lead to a decrease in heel pain (Hay et al., 2016). McCormack (2012) found that eccentric loading and Astym therapy lead to an improvement in patients presenting with tendinopathy of bilateral hamstrings. Slaven et al. (2011) investigated the relationship between manual therapy and Astym on a patient with chronic ankle pain, finding the patient improved greatly with the combination of the two therapies. Astym has been promoted as a tool to improve a large list of musculoskeletal conditions. While more research is always needed to solidify claims, it appears that thus far, research is backing up the claims being made. The mechanism of action is still yet to be confirmed at this time, but theories have been extrapolated on. Several sources have looked at the combination of Astym with various forms of traditional physical therapy, and many are showing positive results for patients. So, while it has shown benefits to lower extremity strength when used as an independent therapy, there may be great benefits for patients who receive Astym in conjunction with other forms of physical therapy. Gehlsen G, Ganion L, Helfst R. (1999). Fibroblast responses to variation in soft tissue mobilization pressure. Medicine and science in sports and exercise, 31(4), 531–535. Hay S., Mountz M., Thelen M., (2016). ASTYM® treatment as an adjunct to standard physical therapy care for chronic heel pain: a multiple patient case report. Age, 65(53), 26. McCormack, J. R. (2012). The management of bilateral high hamstring tendinopathy with ASTYM® treatment and eccentric exercise: a case report. Journal of Manual & Manipulative Therapy, 20(3), 142-146. Slaven, E. J., & Mathers, J. (2011). Management of chronic ankle pain using joint mobilization and ASTYM® treatment: a case report. Journal of Manual & Manipulative Therapy, 19(2), 108-112.